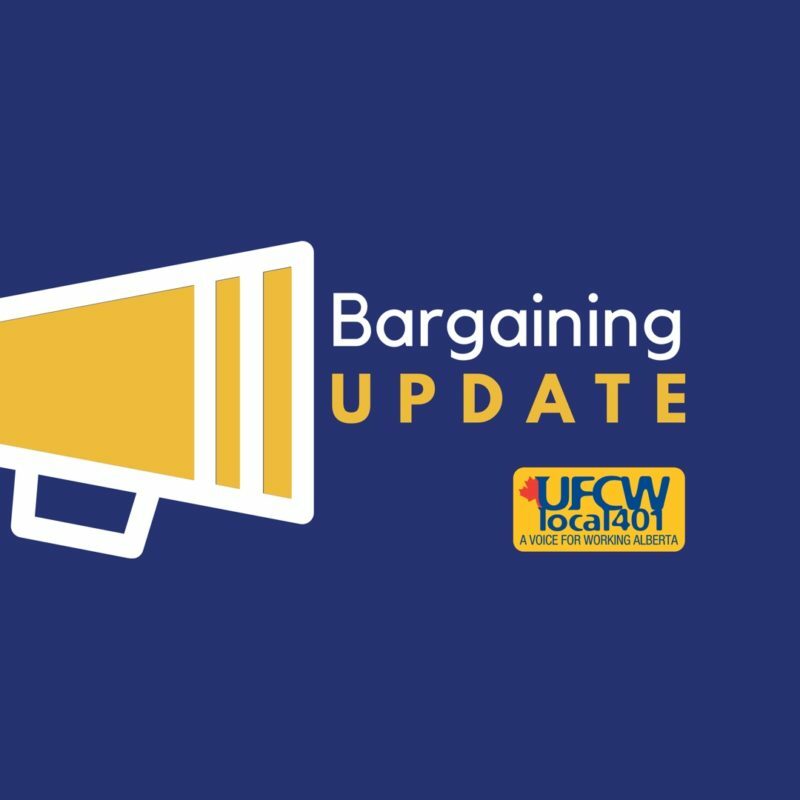 Your UFCW Local 401 bargaining committee has met for six days now with your Employer to negotiate a new Collective Agreement. We tabled forty-six (46) proposals and your Employer has tabled a total of thirteen (13) proposals. Needless to say, we had a lot of issues to discuss and try to resolve. Overall, the process has moved along in a cordial manner with your committee being able to make some minor changes to improve your working conditions. In the last couple of days we have met, we entered into monetary items and this has created a concern for your committee. Your Employer tabled several proposals that were concessionary and also a zero increase in wages for the first two years in a three-year contract. Your Union proposals are obviously the opposite and we are looking for increases in a number of items. Your Committee has made it clear to your Employer that we are not interested in any concessions going forward and that there must be wage increases. That being said we have two more dates scheduled for Bargaining on February 27, 28, 2019 to deal with all the outstanding proposals. After these dates, we expect that we will be coming to you to have an information meeting or an offer to vote on. On a final note, we ask that you support your Bargaining Committee and your Union to its fullest. Should you have any questions or concerns please feel free to contact your Union Representative. We need your support in order to negotiate the best terms and conditions we can for you, the members, to work under. We ask that you visit our website ufcw401.ca often or watch your bulletin boards for further updates.